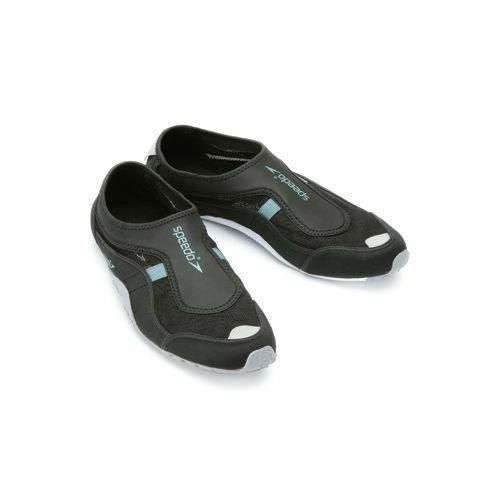 The Speedo Shorebreak Aquasock Swimming shoe is a top of the range easy to slip on Aquashoe perfect for wear around the pool side, or in the sea. Designed to be quick and easy to slip on and off, and to protect the feet, the Speedo Shorebreak Aquasock features a breathable quick drying open mesh upper and drainage channels which disperses water away from the sole. This in turn ensures that the grip is kept on the sole to prevent slippage, and optimises the functionality of this stylish shoe. for submitting product review about Speedo Shorebreak Aquasock Swimming shoe.